*Hunter Douglas Authorized Dealer* Beyond Blinds, Inc. has been serving residential and commercial clients throughout Wisconsin and Illinois since 2000. We offer cutting-edge interior solutions using top-quality products. Interior designer and President Brenda Fredrick is a qualified interior designer with more than 25 years of experience designing spaces to meet the client’s needs and budget while exceeding their expectations. Constant attention to detail, commitment to excellence, and a focus on the client’s preferences have been keys to her continued success. Brenda is a graduate of the University of Wisconsin with a degree in Interior Design, and is affiliated with the American Society of Interior Designers (ASID), the industry’s benchmark for quality. Her impeccable record for matching a space to its occupants extends to personal and professional clients. Her respect for the traditional and flare for the contemporary make each project a unique endeavor. Beyond Blinds, Inc. partners with reputable, respected, and reliable fabrication and installation experts who understand each product’s look and function. Each project is approached with skill and experience and is done right the first time. Incredible Windows! is a full-service window treatment provider, specializing in Hunter Douglas window treatments. 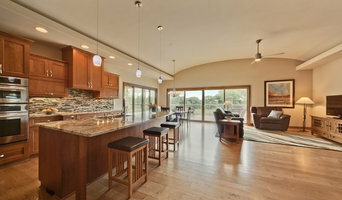 We have been in business for 11 years serving the greater Madison, WI area. Our distinctive services include professional measuring, experienced installation and stylish design advice, all provided with a local flair since we're independently owned and operated. We only sell Hunter Douglas products, so we we have expert knowledge of their products, fabrics, and operating systems. When you have your new blinds or shutters, your room will be transformed into a beautiful space. Whether residential or commercial, large or small, we will help achieve your goals within your budget. Contact us today for an appointment! 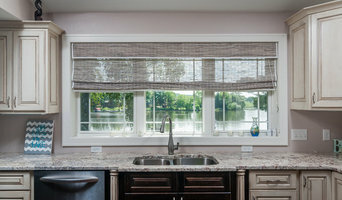 Since its founding, we at Budget Blinds Serving Madison have proudly served the local community by offering high quality and stylish window coverings for any occasion. Our goal is simple: to provide you with the best products and services in order to enrich your home environment. Our lavish selection of window treatments includes shutters, blinds, draperies, shades and even window film. Regardless of the window’s size or shape, you can rest assured Budget Blinds Serving Madison will have a customized window coverings solution ready for you. Call us today to schedule your free in-home consultation. We’ll bring you the highest quality and most fashionable window coverings in Madison and surrounding areas. Looking forward to helping you beautify your home! 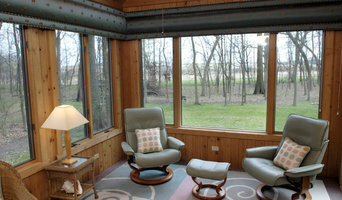 Start-to-finish in-home service - Madison and Verona, WI area -- for custom Blinds, Drapery, Shades, Furniture and Decor. 10 years experience, many brands including Hunter Douglas, Graber, many decorator fabric lines, residential and commercial experience, Call for free in-home consultation in Madison, Verona, Middleton, Monona, Waunakee, Sun Prairie and surrounding communities. Ikonic Blinds & Shutters is a Northern Illinois shutter company specializing in plantation shutters, draperies, shades, and window blinds. If you need window treatments for your residential and commercial property, or even blind repairs, our experts can help. We are a family owned and operated window coverings business with over 25 years of experience. It is our mission to bring the best service and prices to the Madison Area. The best in custom window treatments including blinds, shutters, shades and draperies. Free in-home consultation. 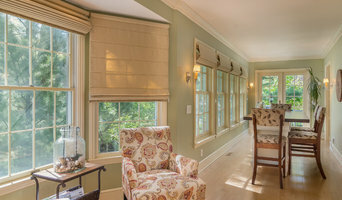 Provide custom window treatments for residential/commercial. 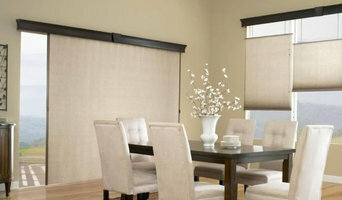 All types of window treatments including shades, blinds, shutters, and drapery. CWA had a humble beginning with my garage being the first workroom in 1979. The operation remained in my garage for about a year before moving to a business location. In 1983 after purchasing 3 acres, the first building was erected. Presently, with two additions, CWA now operated out of a 20,000 square foot building. We have a very experienced staff with more than a dozen people having 20 years or more with CWA. I am proud and thankful to say the original five people are still working together, dating back to 1981. Mode Drapery was established in 1964 by the talented and creative Mary Jean Mode. It has been family owned and operated for 50 years. The company began as a custom workroom serving area designers and decorators. Today Mode Drapery continues to be a workroom known for its quality workmanship and unique designs. Any window treatments or custom bedding desired can be produced by the skillful professionals at Mode Drapery.